Hello, hello. Welcome to the latest episode of Teen Jazz Radio and a very special one indeed. This month we’re celebrating 10 years of Teen Jazz and 2 years since it’s relaunch. I started Teen Jazz back in December of 2004 and although the site has seen many redesigns and repurposing, it’s officially ten years since it first came to be. So today as part of our celebration, I’d like to share some of the site’s history, a few fun facts and we’ll end with something special! Before I share a little of Teen Jazz’s history, I just want to quickly run through our basic introductions and then we’ll get started. In addition to the history of Teen Jazz, in this episode, I’m also going to feature the music of several of our very first artists including Joshua Crumbly (& Ronnie Crumbly), Adam Larson, Alex Han, Evan Stone, Vincent Herring, and Greg Adams. Each of these artists was one of the first three we interviewed in our Artists & Influences categories and I’m excited to share their music with you. As I mention at the beginning of each episode, I know that many of you are listening to this podcast for different reasons – some of you may be here for the advice offered as part of this episode and some of you may be listening to check out the music we feature as part of the show. So, as I mentioned in the last episode, I’m going to try and space the music and the advice out evenly throughout the podcast so that there’s a little something for everyone. So, before we dive into today’s episode and the story behind Teen Jazz, let’s check out our first music set. This week I’d like to introduce you to bassist Joshua Crumbly along with his father Ronnie Crumbly on sax and drummer Evan Stone. The first song you’ll hear is Like Father, Like Son by Ronnie and Joshua Crumbly from Like Father, Like Son and next you’ll hear Cheesecake by Evan Stone from Sticks & Stone, Vol. 1 . Once again, the first track was Evan Stone with Cheesecake. And after that was Ronnie and Joshua Crumbly with Like Father, Like Son. You can find more information about Joshua Crumbly at joshuacrumbly.com and Evan Stone in our interview with him on Teen Jazz. Okay, so as I mentioned, Teen Jazz was started in 2004. After selecting the url, the name, I set up a very basic site on Geocities (if any of you remember that) for my band at the time which was called Night_Vision. It was a group of my friends and I from school. We never had any gigs, but we spent a lot of time rehearsing in my parents garage and occasionally performing for our neighbors. They used to come and set up lawn chairs in my parents’ driveway! It wasn’t until February 3, 2005 that I wrote the first article on Teen Jazz – it was filed under what I called “cool lessons” and it is the post that you now know as “one of the most important things to know as an artist.” The lesson was something that I had learned from a classmate of mine about playing with emotion rather than focusing on technical prowess and I wanted to share it with other musicians because I thought it would help them. 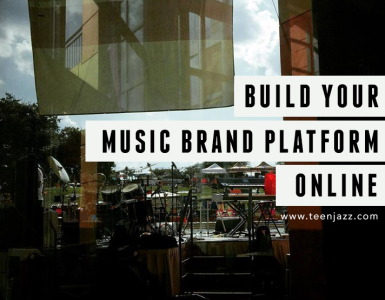 It was with this article that Teen Jazz started to shift away from being my artist website (which it had become at that point) to being about teaching other musicians things that I had to learn the hard way. In April that same year, I began to feature the profiles of other up and coming musicians – only one per month. I researched other musicians my age, got in touch, wrote a summary of their accomplishments and posted it on Teen Jazz. In June, I began to interview more established musicians as well, picking their brains for things that could help musicians my age. Our first interview was with Drummer Evan Stone. In 2005 I also recorded my first album in the basement recording studio at my school in a total of four hours (two hours each day over two days). The other musicians recorded together in one room (Dan Reckard on keyboards, Cindy Gould on drums, and Tyler Hindsley on bass), while I stood in the same room with the engineer recording my sax. We only had two sets of headphones so I wore one while Dan Reckard wore they other so that he could listen to what I was playing and direct the other musicians. Once Angel Eyes was completed, I decided to completely separate Teen Jazz and my music as an artist so I created shannon-kennedy.com and removed myself almost completely from Teen Jazz. 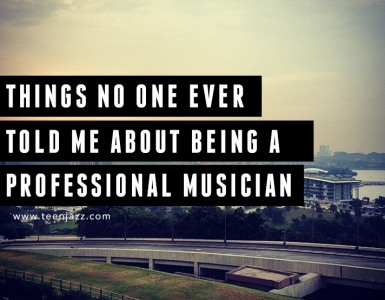 It was no longer about me, but about the other musicians – a place where they could connect and learn about the industry. In 2006 Teen Jazz started to grow and it required it’s first major redesign. In essence, it became more of what one might call a “blog” today. In August 2007 the site reached 100 articles – not including the Teen Jazz Artist profiles. I was writing nearly everything myself while going to school and so I was only posting about one per week. In 2009, I was forced to take a break from writing for Teen Jazz due to my studies at university, and then I later began to focus on recording and songwriting, beginning my neoclassical EP Series (L’Automne, L’Hiver, Le Printemps, and L’Ete). I also released the instrumental version of the song “Falling Slowly” from the movie Once on flute. In December 2010, I was approached by a radio station in Lubbock, Texas, about the possibility of putting together a Teen Jazz Radio show and so I began to record a series of videos featuring the music of up and coming musicians as well as assembling playlists with the music of some of our artists. 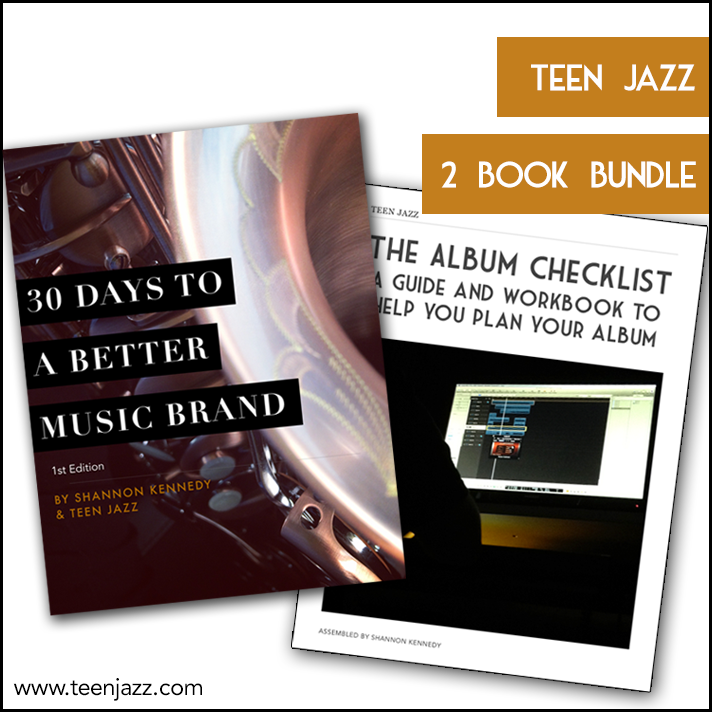 The partnership unfortunately fell through about six months later, so I began recording the Teen Jazz Radio podcast which I eventually transferred over to iTunes in 2013. I was still not writing regularly for Teen Jazz during this time due to school, but in August of 2012, I decided that my break was over and began editing the articles I had written earlier (now that I was a bit older and more experienced in music) and I also started to write new articles for the site (the first of which was a review of U-Nam’s George Benson tribute project). Our second set of music for today’s show is going to feature Adam Larson and Vincent Herring. The first song you’ll hear is The Song is Ended by Vincent Herring from the album Ends & Means and second I’m going to feature Loophole by Adam Larson from Simple Beauty . Once again, that was and before that was Adam Larson with Loophole and Vincent Herring with The Song is Ended. You can find more information about Vincent Herring at vincentherring.com (our interview with him is here) and Adam Larson is at adamlarsonjazz.com (our interview with him is here). And now for something special. To celebrate our two anniversaries, we’re going to host a scavenger hunt. Each day we’ll post a hint on Facebook about where we’ve posted a secret saxophone – so make sure you head over there to like our page and select “get notifications” so you can take part, it’s Facebook.com/teenjazz. 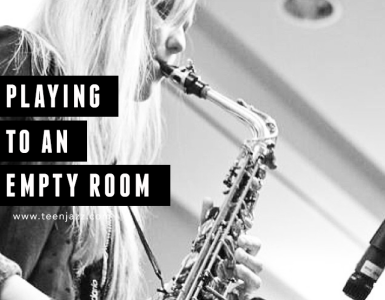 The saxophone is going to move each day and when you find it, you’ll be given a special code that you can enter on our entry page to earn entries towards prizes from our sponsors. So the hints will only be good for 24 hours before the saxophone moves again! 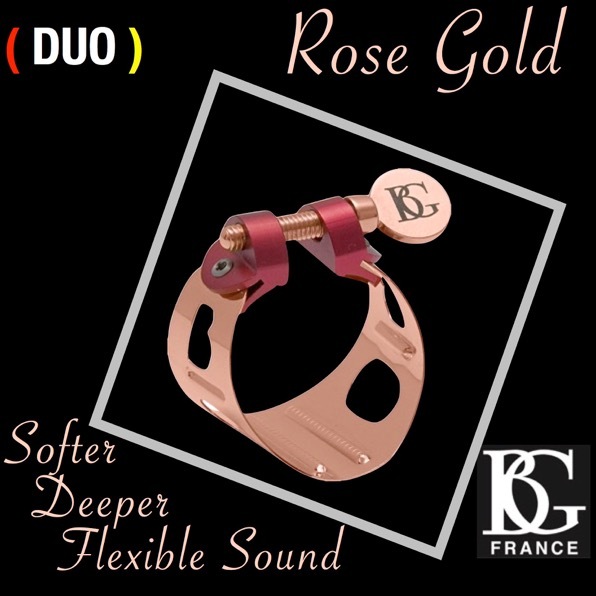 Some of the prizes include a handcrafted, wood reed case from Kenkase Reed Cases, saxophone stand accessories and method books from the Rheuben Allen Education Foundation, ligatures, neckstraps and more from BG France, and several other fun items. You can earn a free entry and check out the prizes over at teenjazz.com/anniversary. And of course, there will be a link to the giveaway with the transcription of today’s podcast. We’re starting the contest THIS week – tomorrow (Monday) to be precise – and it’ll run until September 9, 2014. So don’t miss out – make sure you like our page! We’re going to post a specific image of a saxophone (which you can see over at TeenJazz.com/anniversary) and you’ll have 24 hours to find it. The clues for the location of the saxophone will be posted on our Facebook page at 10 am PST – that’s 1pm EST. We’ll have all of the rest of the rules and information available on the contest page. Our last set of music for today’s show is going to feature Alex Han and Greg Adams. The first song you’ll hear is Sugar by Alex Han from the album Fourteen and second I’m going to feature 5 North by Greg Adams from Firefly . Once again, that was Greg Adams with 5 North and before that was Alex Han with Sugar. You can find more information about Alex Han at alexhan.com and Greg Adams at gregadamsmusic.com or in our interview with him on Teen Jazz.